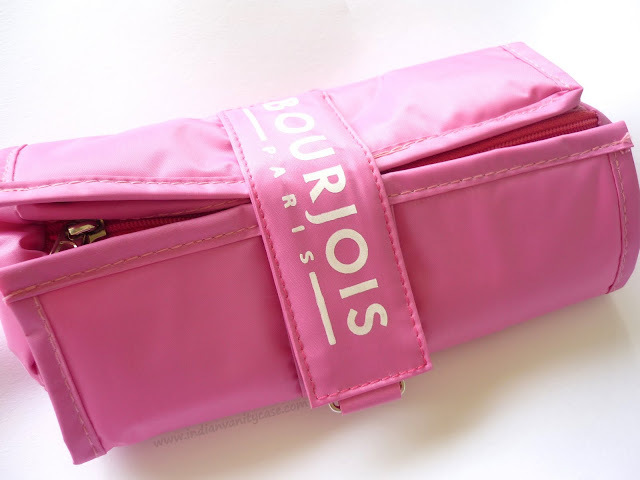 Indian Vanity Case: FREE Bourjois Makeup Bag! I hauled some Bourjois products (not for myself) yesterday and I got this cute pink makeup bag! You get this when you spend over Rs.1500. 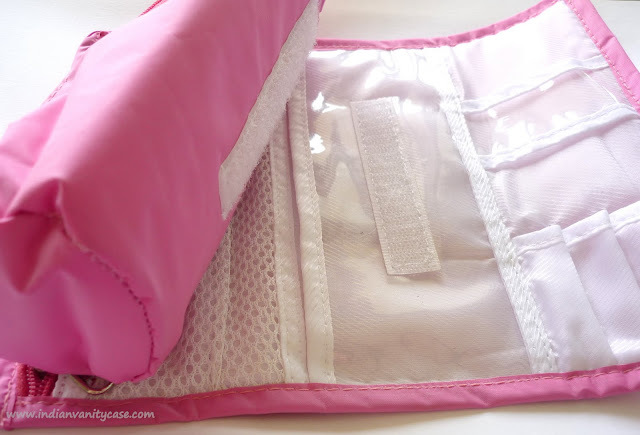 That pouch in the middle is attached to the base with velcro. Availability ~ At Lifestyle & Kunchal's too, I assume. nice :) wat make up did u buy?? What a nice organised makeup bag!!! Super cool! What a lovely free gift!! Looks very useful!! 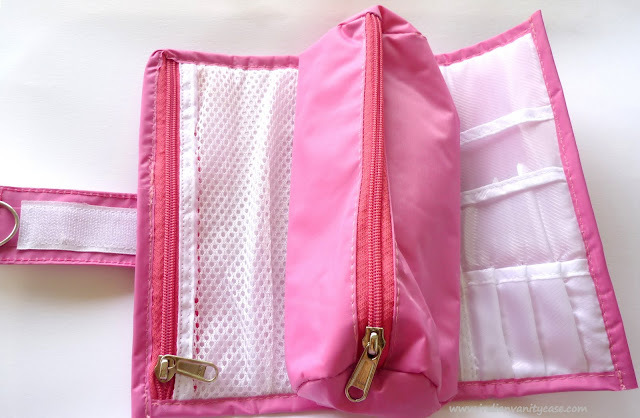 Perfect for makeup on the go! Isn't it such a convenient and cute baby to travel with?? I'm drooling. It’s such a gorgeous bag. I’m like omg why don’t I've it? It’s just awesome. That is sooo cute and useful! I love when gifts are practical!